The staff is what stood out, they were all extremely helpful and tried their best to make us comfortable in what was a difficult situation. We were staying for 5 days and had booked an executive room. We arrived at approx 01.30, the room was like a sauna, even the clothes rail was hot. The bed was like a water bed. Every time one of us moved it woke the other. It was noisy from lorries going past, double glazing was useless. The fan in the bathroom stayed on for almost half an hour. We asked to be moved and were shown a few rooms, most beds were the same so opted for a standard room with a double and a single. This room was freezing as the window catch had broken and window kept blowing open and we had trouble getting heater to work. Curtains were hanging off in places. We had offer to move again but declined as didn’t want another upheaval but asked for extra duvet. We stayed here many times but noticed the decline on this visit so will not stay here again unless it is upgraded. Did the job. I bit far out from Bishops Stortford, as that is where I was for the evening, but great for an airport stop over. This motel is a 15 pound minicab trip from the airport. It is a typical Days Inn - right in the road stop which was a expected but for the 30 pounds in cab fares we could have stays in a motel at the airport. We stayed at this place because we had to fly from Stansted Airport very early the next morning. For a couple of nights, I would say this place is decent. The hotel rooms are simple but clean. Bed is comfortable. 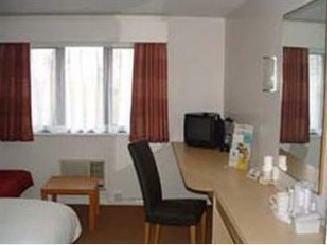 It is located very close to Stansted Airport. The hotel is close to a gas station, some fast food joints, and Starbucks. Otherwise, there is not much in the area. We found a member of staff on the night-shift to be less than friendly. We stood at the check-in desk for a couple of minutes while he sat in front of us and shuffled papers without even a glance, nod, or hello in our direction. Overall, it was an OK place to stay. There is a place right in front of it where you can find starbucks, burger king, papa johns... etc. Excellent food supply. It was great. 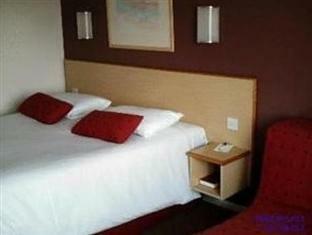 Rooms are clean, and location is very near to the airport. Got there after midnight and left very early AM so it was a bed and a shower. Convenient location in being near the airport. Fantastic. 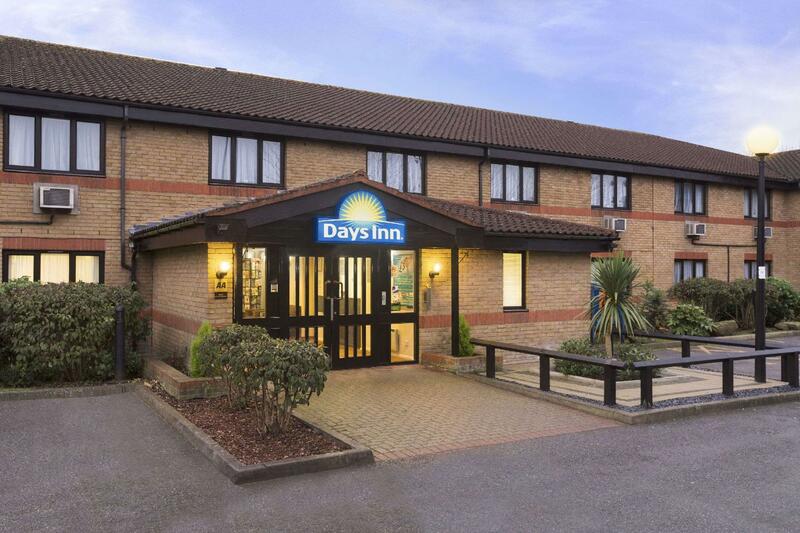 I found this hotel perfect close to stansted, only 5 minutes. Cab cost only 10 pounds from the aereoport until this hotel. The staff was very professional and very kind. The room that i booked was very big and very comfortable. Close to the hotel there are the food shops. It was a short stay but never the less very nice as the room was clean and staff were great.